A few articles I have come across today have sickened me to the core. All deal with the death of a child at the hands of their parents and all of the parents in question began their abusive behavior under the guise of ‘discipline’. Though I understand people maybe lacking the tools needed to deal with their children in times of stress, leaving the door open to hit a child is inexcusable. I have more than my fair share of expletives to describe how I feel about parents who harm their children. What follows is my attempt to open up a discussion about how to halt these parenting practices in their tracks. Many of the aforementioned articles detail the accounts of children who were murdered at the hand of their own parents. These parents are all believed to have read and followed the discipline strategies of Michael and Debi Pearl, authors of the book To Train Up a Child. The book, which uses scriptural references as support for the violent ‘training’, is particularly popular with christian homeschoolers who praise it on their websites. Physical abuse is recommended starting in infancy to teach a child how to stay on a blanket and increases in intensity throughout childhood. The tragic stories of the three children lost to families reported to be studying this book’s philosophies are beyond imagination. A little girl beaten for hours until she died for mispronouncing a word during homeschooling, a babe of just four years old beaten and suffocated to death for not staying in his bed. Most recently a little girl found was found naked face down in her own backyard after what seems to be weeks of living outside with little food and inadequate shelter. This book is not an anomaly. Corporal punishment has been widespread in our country for many years despite the piles of literature to prove it ineffective at the least and dangerously damaging at its worst. Recently a video of a judge beating his daughter has gone viral on YouTube. The daughter taped him in secret in the hopes of finding someone out there that also believed what her father was doing was wrong. He, however, does not think he was in the wrong at all and is seemingly surprised at the backlash. “No, in my mind I haven’t done anything wrong other than discipline my child,” Judge William Adams told KZTV Wednesday after the YouTube video went viral on the internet. Most of the debate over these atrocities goes something like this ‘whether or not you believe in spanking…this should never have happened’ but it DOES matter how you feel about spanking. In my mind it matters on a fundamental level. Allowing yourself to use any form of physical punishment as a ‘discipline’ tool opens the door to more violent behavior as your child grows. Making the desicion one way or the other to spank or not to spank was one of the first child rearing decisions these murderous parents made. I have heard the arguments again and again “if spanking is used in the proper way it is the right thing to do” or “children need to know there are consequences for their behavior”. Many circles feel that children need to be hit or they won’t learn to ‘mind’ you. I have heard people throw phrases around the play ground like “if you had my son you’d hit him too”. Really? I beg to differ. In order to strike someone you need to have a few preconceived notions about them in your mind. You need to feel more powerful, you have some need to control them, you want to ‘win’ or be right, and finally you have to feel that YOU will have no consequences for your behavior. That or you are just seeing red and haul off and hit someone. Either it is a choice to use your intimidating size and power to coerce your child into listening to you or you have lost control of yourself and lack the tools to deal with your child in a different way. We can choose whether to use discipline as guidance that will help shape our child into a self assured, emotionally balanced adult with self control and an intrinsic sense of motivation. 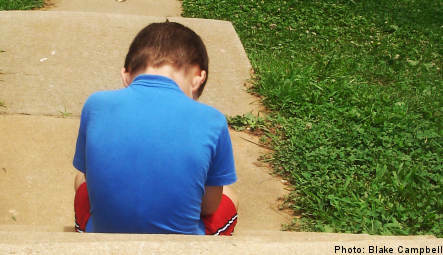 We can also choose to punish a child violently in the short term to halt a behavior. In many ways I see spanking and other forms of corporal punishment as the easy way out. Instead of doing the hard work of listening to your child, learning about them and trouble shooting why certain behaviors may be popping up repeatedly a spank is the remedy for all. Instead of connecting with their eyes as they search for boundaries, structure or a proper outlet for a new skill, another spank is in order. The hardest and most rewarding work is discipline without shame (of the type outlined in this wonderful article by Janet Lansbury). Parents who use proper outlets to let go of their own stress are able to keep themselves in better control when frustrations and conflicts arise. Parents who do the work and build a tool box full of strategies to help their children magage themselves in the world are constantly growing along with their child. Both parent and child stand to learn about themselves and how to better handle any situation they find themselves in. Those who consciously parent and make a choice not to spank have also made a choice to work harder to support their children’s behavioral development in more loving and effective ways. As a matter of practice I don’t feel we should be judgmental of other parent’s choices. I do not think every parent who spanks is on the road to the horrible tragedies listed above. I also know that many parents make the best choices they have based on their history, family situation and cultural background. With that in mind I must say that I hope for a world where every child is respected enough to be treated as we would treat our coworker, neighbor or spouse. Every child deserves a home free from fear especially at the hands of a loving parent. We should be appalled at books that tout physical abuse of any kind as a way to deal with a child. As parents we should know better. For them, we are the world. No book should be able to convince us that hurting our baby, while they look on with confused eyes full of shame and confusion, is the best option. These authors, with no child development training, are essentially brainwashing parents into feeling as if they are going against God’s word when they let ‘defiant’ behavior go without a whack. There is a better way, check out this great article on partnering with your child from HandinHand parenting. In the name of these children I urge you to please follow this link asking Amazon.com to stop carrying books that spread child abuse as a valid parenting philosophy. Click here to sign.